Although dropping a ball and letting it bounce seems like a common everyday occurrence, there are numerous forces at work in this scenario. Several different projects can reveal transfer of energy or acceleration taking place. When a dropped ball collides with the ground, its kinetic energy is transferred into potential energy as the ball compresses. 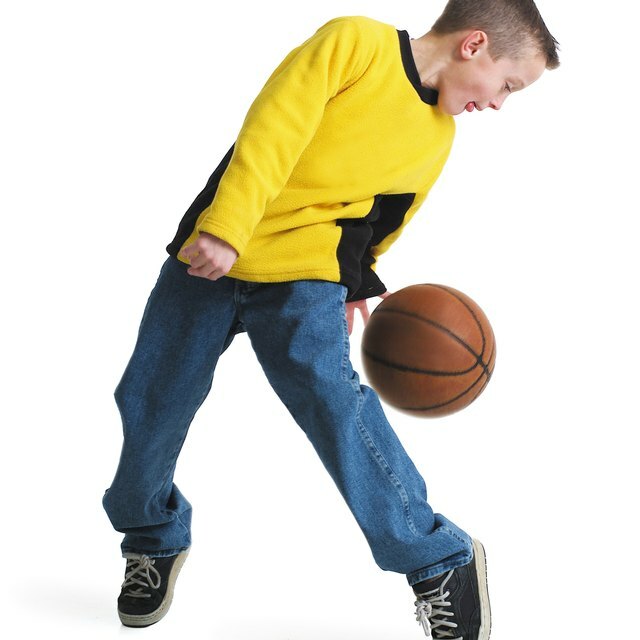 Then, as the ball's elasticity causes it to expand, potential energy is transformed back into kinetic energy in the form of the ball bouncing back up off the ground. To see this transfer of energy, drop several different types of balls onto the ground from the same height and see how high each type of ball rebounds. Determine which balls are the most efficient at transferring kinetic energy to potential energy and back again. Energy can be transferred from kinetic to potential, and it can also be transferred during the course of a collision. To observe this transfer of energy, start by dropping a basketball from a given height and then measuring how high it bounces. Next, drop the basketball from the same height, but this time with a racquetball placed directly on top of it. Record the height of the basketball on this drop and compare it to the height seen on the first drop. A ball will accelerate toward the ground after being dropped, and you can track this acceleration using a video camera and a projector. Start by video recording a person dropping a ball and that ball hitting the ground at a rate of about 60 frames per second. All the action should take place in the same frame. Next, project the video of the falling ball onto a large sheet or multiple sheets of paper taped to a wall. Then plot the ball's fall one frame at a time. It should be evident that the ball moves farther from frame to frame the closer to the ground it gets. Galileo famously showed that all objects fall at the same rate by dropping two cannonballs with different weights off the Leaning Tower of Pisa. He also proposed a thought experiment to demonstrate the same concept. 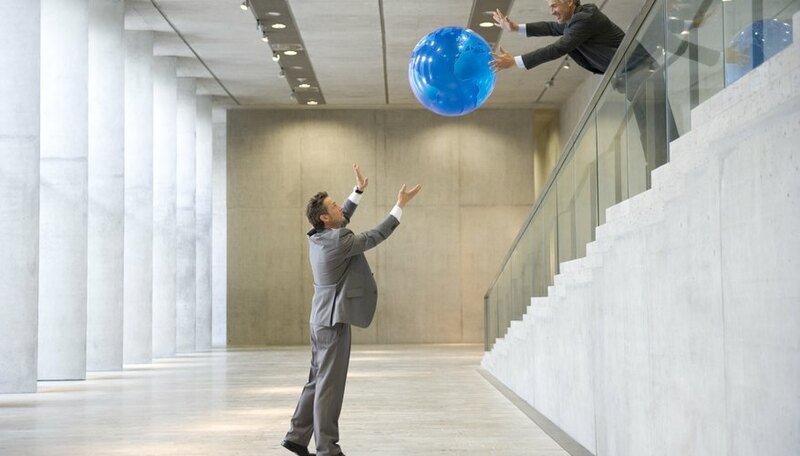 To conduct this thought experiment, tie a large ball to a smaller ball. Drop both balls simultaneously and see how long they take to hit the ground. Then, disconnect the two balls and drop them simultaneously again. According to Galileo, the amount of time for the "joined" drop and the the two individual balls should be the same, as neither ball was pulling up or down on the other one while the two were attached. Smith, Brett. "Ball Drop Science Projects." Sciencing, https://sciencing.com/ball-drop-science-projects-5761172.html. 24 April 2017.